As commercial real estate professionals, we have two commodities – our time and our information – aka our market knowledge. Therefore – we must spend our time wisely – on profitable activities and share our knowledge with those who need our services. My philosophy is to be stingy with my time and generous with my knowledge. Meetings. 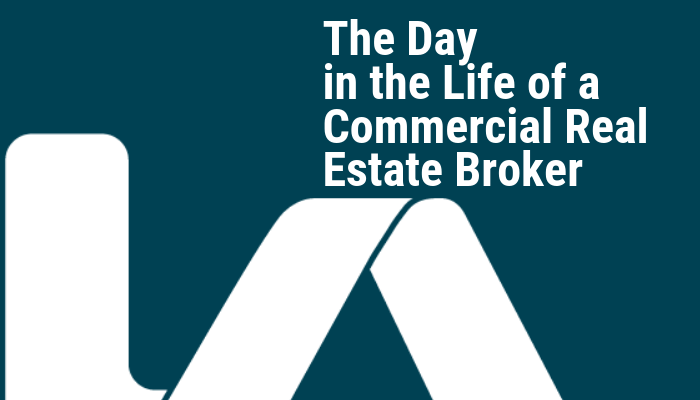 Our commercial real estate industry is a contact sport – meaning we must conduct face-to-face negotiations, building tours, and prospect discovery meetings. I have used video conferencing to accomplish this when a face-to-face meeting is impractical. Food and drink opportunities. Each workweek contains at least three food and drink opportunities per day – breakfast, lunch, and dinner. Additional opportunities could be cocktails after work or a midday smoothie at the gym. Don’t eat alone! It will be your most expensive meal ever. I generally conduct these on a one to one basis with a strategic networking partner. I have found these informal face-to-face meetings are a tremendous way to generate activity. Transaction coordination. A certain amount of each day must be spent actually closing the business that you generate. I employ a full-time transaction coordinator who can deal with some of the nuts and bolts of the deal such as contract preparation, fielding inquiries and forwarding information, document circulation, tracking of key dates, and general closing conditions. However, if the dealer hits a snag and additional negotiation is needed – I am always ready to re-engage. Marketing. Digital, physical, and personal. The marketing of your services should include a good mix of digital – email marketing, social media marketing, and content creation or curation. Mailed to potential prospects and referral partners should be newsworthy articles, gifts, market information, or success stories,. All of these mailed pieces increase your physical presence. You also must be known in your marketplace. Your personal presence – open house attendance, group functions, networking events, and other community activities will boost your personal presence immensely. Guest post contributed by Allen C. Buchanan, SIOR. Mr. Buchanan is a principal with Lee & Associates Commercial Real Estate Services in Orange. He can be reached at abuchanan@lee-associates.com or 714.564.7104. His website is allencbuchanan.com.